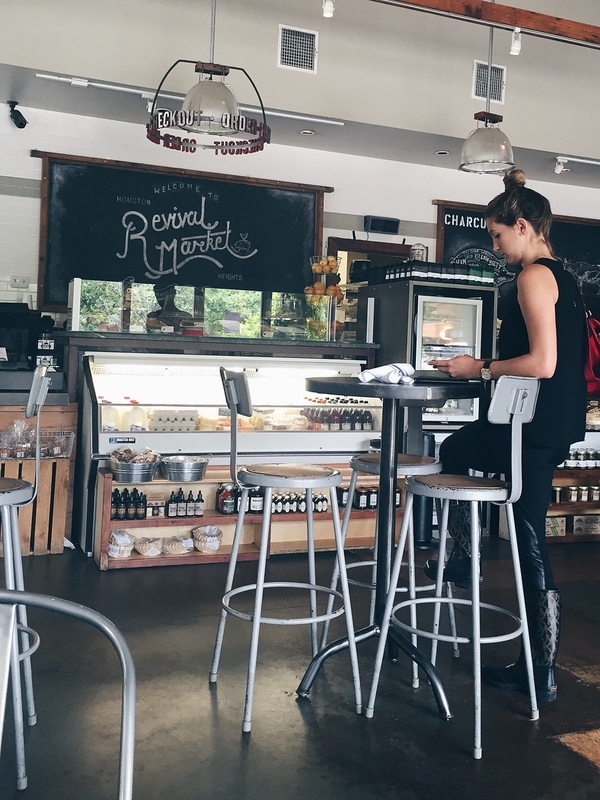 The 24 Hour Layover: Best Restaurants in Houston - The Co.
What the Heck is Pilates Reformer and Why Should You Try It? 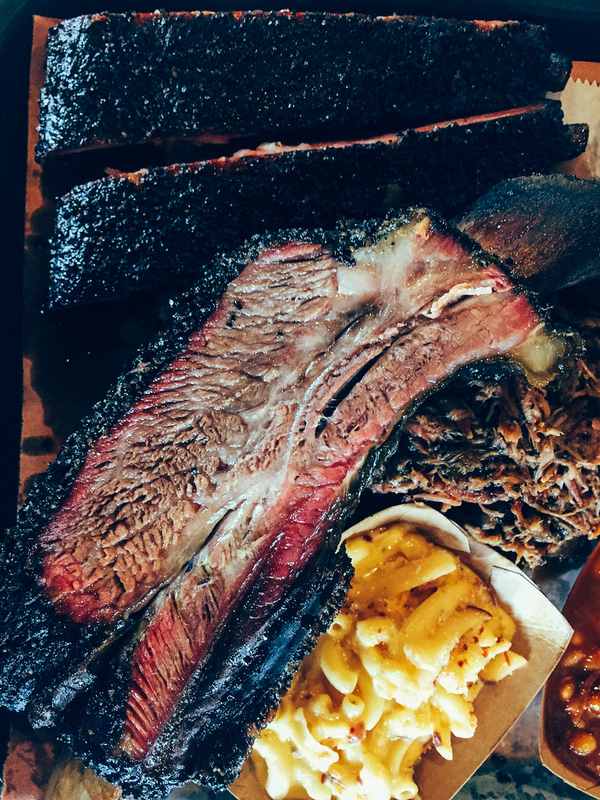 My tour of Texas with Discover America that brought me to gorgeous San Antonio and Texas Hill Country with a final stop for the best restaurants in Houston for a speedy 24 hours before flying home. I wasn’t really sure what to expect of Houston, while people raved about San Antonio no one really seemed to like Houston and one friend went so far as to call it a dump! 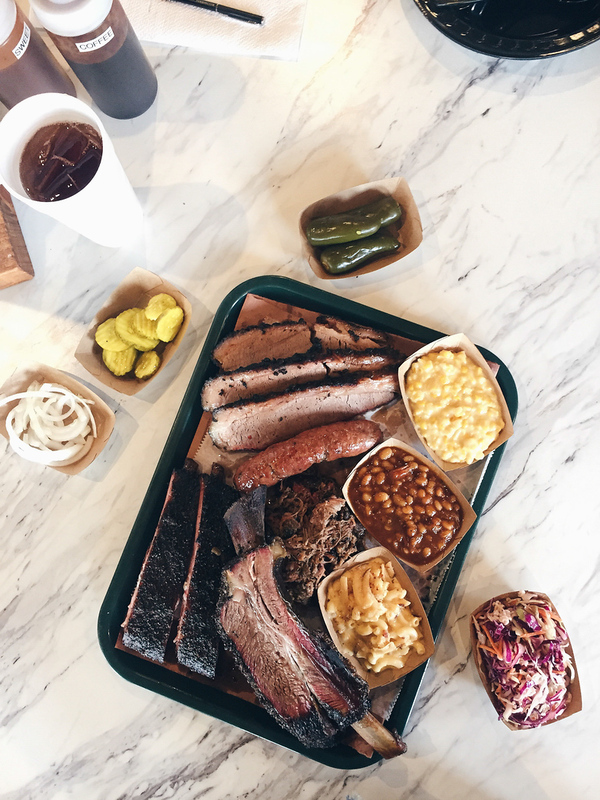 It was a whirlwind but with help from Taylor from The Fatted Calf and Mai Pham, a local food writer who knows everything about Houston, I had an amazing time and would definitely go back. 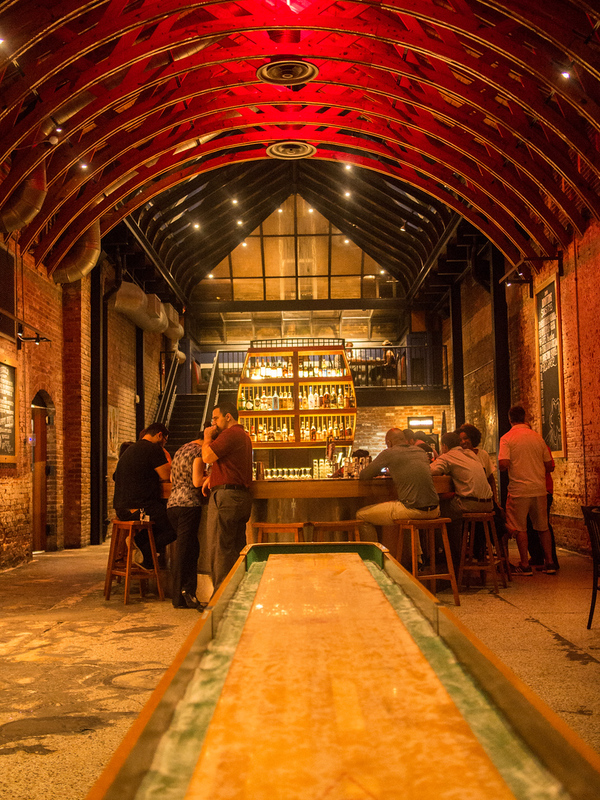 Here are some highlights on how to spend 24 hours and dine at the best restaurants in Houston. Recommended by Taylor from the Fatted Calf, I came for the charcuterie! Solo on this trip, I couldn’t help but scope out what other restaurants were doing. 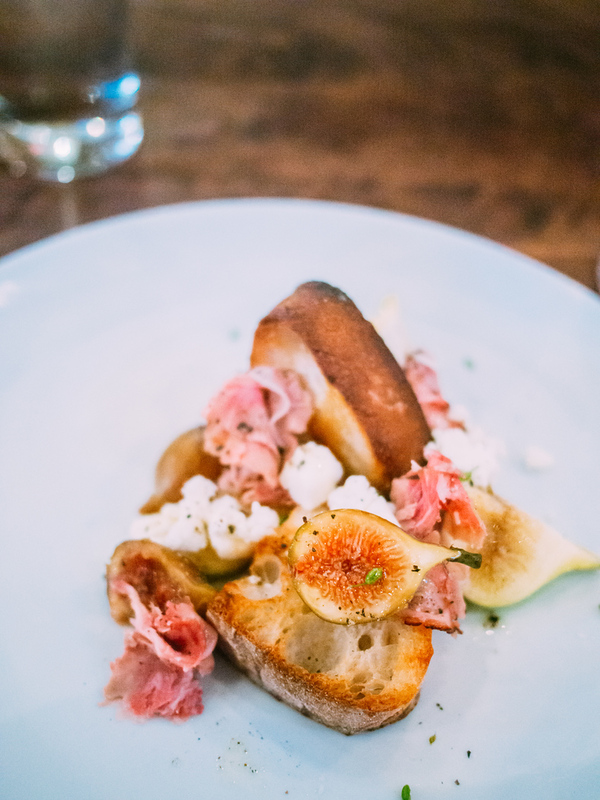 Revival was once a food market with a charcuterie program and is now a restaurant. I was a bit disappointed that my server didn’t know the difference between coppa and pancetta but the charcuterie plate was killer, especially the berry whipped lardo in the bottom left corner. 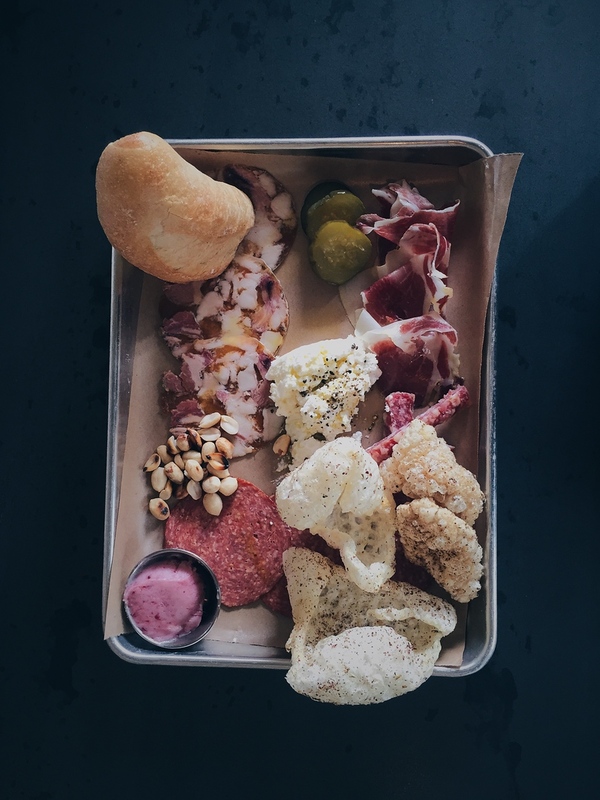 Another Taylor recommendation, Underbelly only buys whole animal and has with an in-house charcuterie program. What appealed most was that its menu focusing on Houston flavours also reflected the city’s diversity so you can have Crispy Ham Hock, Grit Cake, Okra, Egg but you’ll also have Korean Braised Goat & Dumplings. 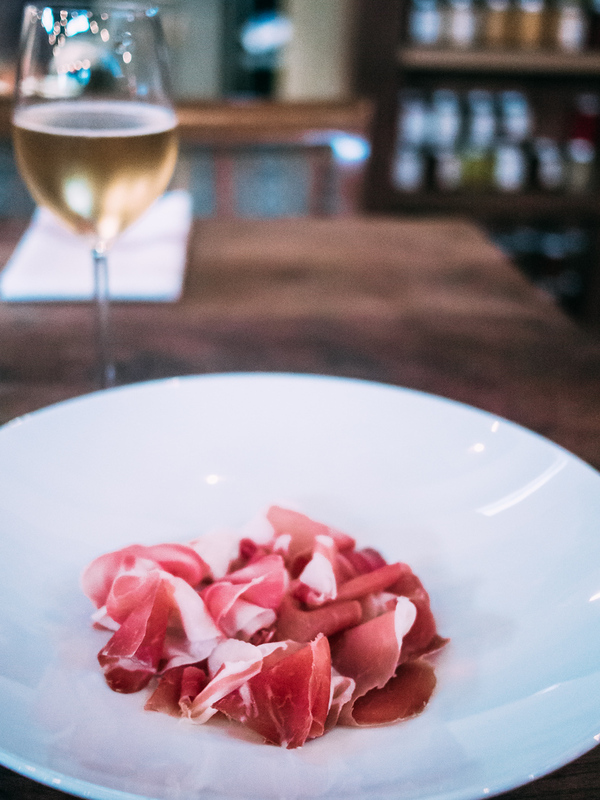 This prosciutto uses Texan pigs that are finished on peanuts – better than most of the prosciutto I’ve had in Italy. 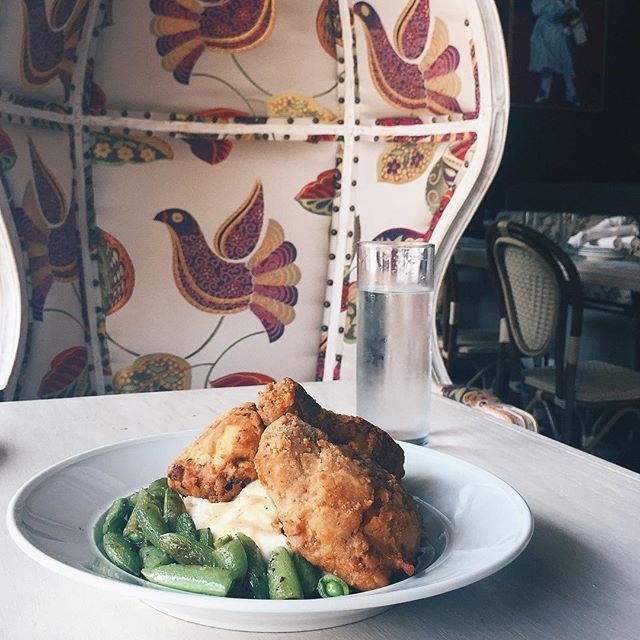 I popped into Prohibition for one reason only – Mai told me I had to have the smoked fried chicken using local, organic Amish chicken, first brining then smoking before frying in a number of spices. Of course she was right. Chef Ben McPherson is yet another Houstonian who moved from afar, decided to stay and is excited to see the food scene grow. His 1920s themed supper club is in a beautiful historic building downtown, features an extensive bar program and burlesque show in the evenings. American liquor stores are like Disneyland for Canadians, most of the provinces control the sale of alcohol. So for example in Ontario we can only go to government stores to buy alcohol. It’s the wild west in America, and Mai insisted I hit Specs, not just to buy Pedernales wine from Texas Hill Country, but also there’s a gourmet deli? 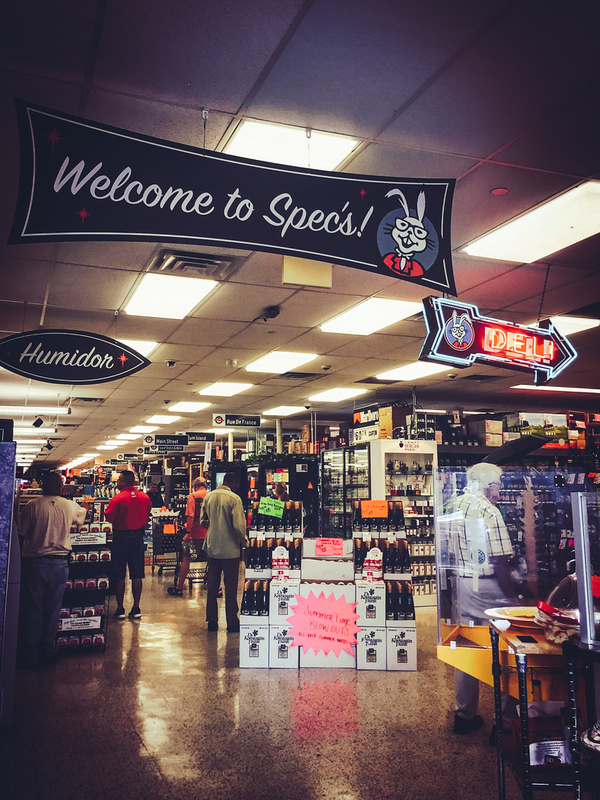 Specs is quite the trip, best prices on alcohol but also a stacked deli and grocery store selling everything from Pringles to foie gras. You have to see it to believe it. Mai insisted that I come to Killen’s BBQ and even called ahead so I wouldn’t have to wait in line. The doors open at 11am but the line begins at 9am and people hope they can get in before food is out, around 3pm. Houston is hot but that didn’t stop the hoards from ordering. But this was my favourite stop, nothing fancy but a-mazing barbecue. Word on the street is that it’s better than Franklin’s in Austin – although it was a Houstonian that told me that. Mai knew no trip to Houston would be complete without a few drinks so we met at her favourite wine bar, Camerata, popped into some cute small bars like Little Dipper and Captain Foxheart’s Bad News Bar & Spirit Lodge. 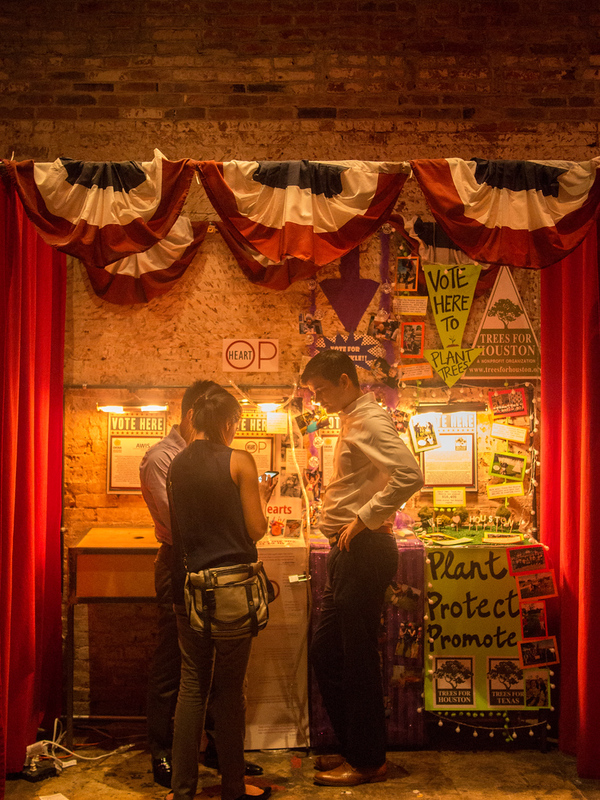 But the highlight was OKRA Saloon Charity Bar, it acts like a normal bar but with each drink you get a ticket to vote on one of three charities. At the end of the month the votes are tallied and profits from the bar go to that charity. 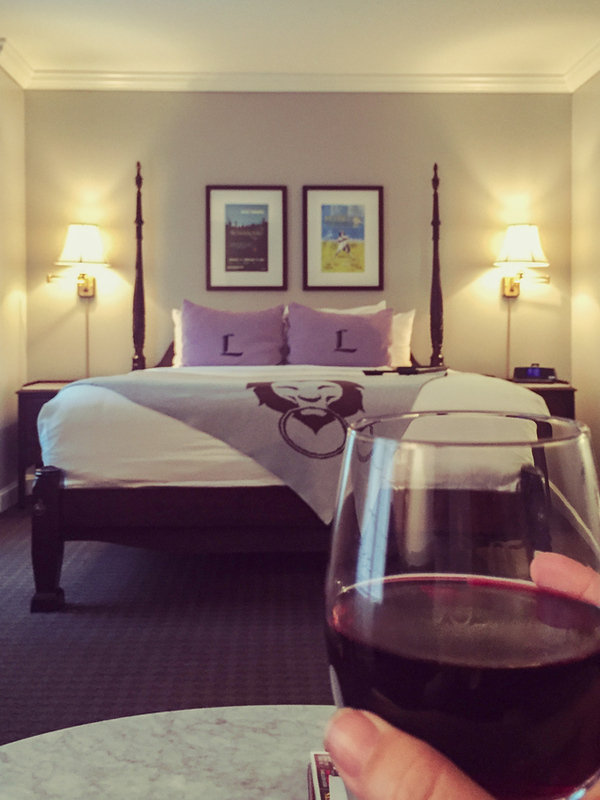 Normally I don’t make much of a fuss of where I stayed but I LOVED the Lancaster Hotel. My room was purchased through Expedia so they didn’t know I was writing about Houston and there was no special treatment. When I arrived they asked if I wanted a glass of wine…uhhh yes! And when I went to ask the valet where I could catch a cab to Underbelly they offered to drive me there, and pick me up! Nowadays a lot of hotel rooms look the same to me and it’s hard to impress but the service here was the best I’ve had in years. Coltivare: I chose not to go here because it’s Italian and I’ve had plenty of great Italian but time after time locals recommended this Italian joint run by Revival Market’s chefs. Oxheart: The hardest reservation to get in town, this small restaurant offers tasting menus that are vegetable-centric but don’t exclude meat in some courses. Pax Americana: I’ve heard it’s a better version of Underbelly if you’re looking for New American dining. I chose Underbelly because of Taylor’s recommendation and the menu had more unfamiliar food, which is appealing. Ninfa’s on Navigation – Where the fajita was invented, you’d think it was cheesy or only for tourists but locals love this tex-mex restaurant. For more great photos of food in Houston and around the world check out Mai’s instagram and Discover America’s Flavours of the USA. This is an excerpt from the article The 24 Hour Layover: Best Restaurants in Houston which originally appeared on http://www.baconismagic.ca/.